Welcome to our web page for the proposed development at Land South of the Street, Mortimer. Part 2 - the erection of a 3FE Infant School and 900sqm GP surgery (Use Class D1) with shared parking area with all matters reserved other than access. A 20m landscape buffer comprising a mix of shrub and woodland planting. As part of an outline application, the Council can be asked to consider detailed matters relating to “access”, “layout”, “scale”, “appearance” and “landscaping”. These are known as the Reserved Matters. At this stage, the Council is asked to consider the means of “access” to the site as a whole, and the “layout” of the residential part of the proposal. 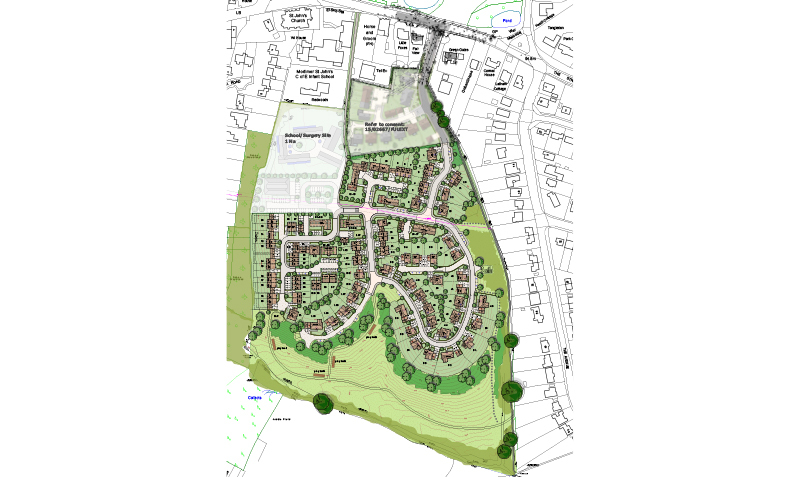 The submitted layout for the residential development does provide an indication of how the school and surgery part of the development could be provided and further illustrative information related to the “scale”, “appearance” and “landscaping” are provided within the Design and Access Statement. The Stratfield Mortimer Neighbourhood Plan was adopted as part of the Development Plan for West Berkshire District Council on 22 June 2017. The Neighbourhood Plan allocates the site known as “Land to the south of St. John’s Church of England School, off The Street (site ref MOR006)” for development. The site is allocated to meet the housing requirement for 110 units in Mortimer up to 2026, and is also required to provide a larger site for the existing St Johns Infant School to relocate to, and land for a new Doctor's Surgery. 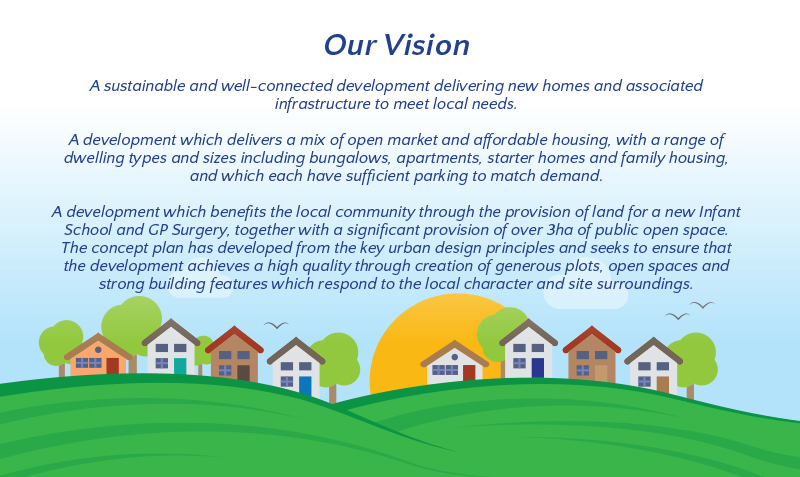 Policies SDB1 – SDB4 of the Neighbourhood Plan establish design parameters for The Site and require a detailed design brief to be prepared by the developer. In March 2017, a Site Design Brief was submitted to the Parish Council for consideration. Click here for the original Brief. (please be patient as the file may take a few minutes to download). On Wednesday 26 April 2017, we held a public exhibition and invited local residents to come and view our proposals and provide feedback. Click here for a copy of the exhibition boards. On 1 June 2017, a meeting took place between Members of the Parish Council and Neighbourhood Planning Group and the developer to discuss feedback on the Site Design Brief. Following this meeting, the Site Design Brief was revised and an updated version was submitted on 28 June 2017 to the Parish Council and Neighbourhood Planning Group. That Site Design Brief was considered at a public meeting on 13 July 2017 and feedback was provided. 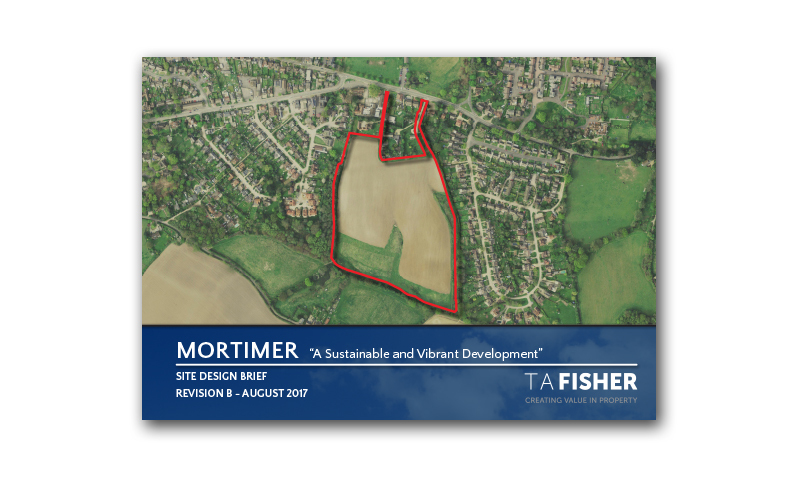 A further revision to the Site Design Brief was undertaken and Revision B was submitted to the Neighbourhood Planning Group on 9 August 2017. Following further discussions with the Neighbourhood Planning Group, an amended Site Design Brief was submitted to the Parish Council on 4 October 2017. Click on the image to download the amended Site Design Brief or alternatively click here. Vehicle access off The Street via the Tower House and Fairwinds site with a shared pedestrian / cycleway to The Street. We have produced a list of Frequently Asked Questions which can be viewed here. For information about our previous consultation events please follow the link below.